Algumas bandas parceiras do midsummer madness lançaram vídeos e músicas neste finalzinho do ano. 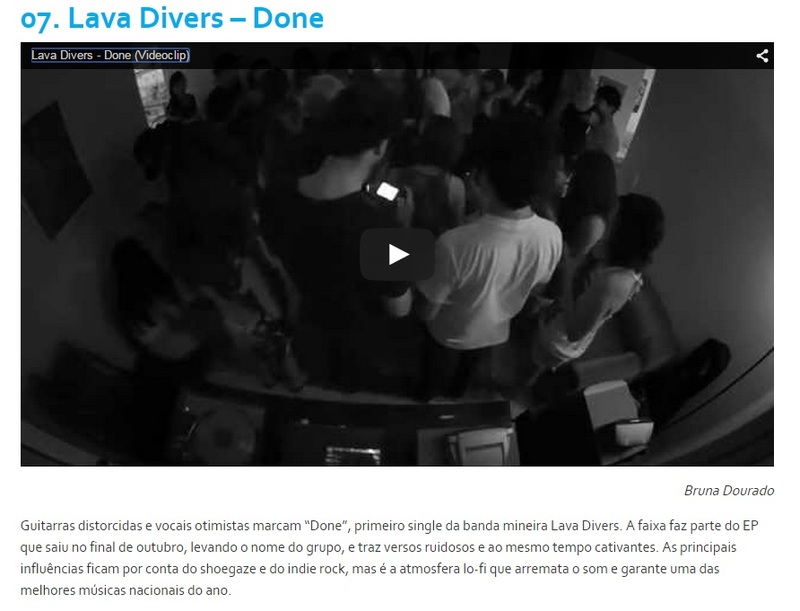 O Lava Divers foi entrevistado pelo programa Studio Novo Som, do jornal O Correio de Uberlândia. A entrevista começa em 14:40, depois do papo com a banda Uganga. The Gilbertos‘ fourth album was released last thursday: Um Novo Ritmo Vai Nascer (translates to A New Rhythm Will Be Born) is Thomas Pappon’s new studies on the mix between brazilian sounds and european rock. This new record features 10 new songs recorded in London, where Thomas lives and works, and São Paulo, where most of his musical partners live. Thomas used to play in several bands in São Paulo during the 1980′s: he played drums for Smack and Voluntários da Pátria, and later composed most of Fellini‘s songs in the 3 seminal albums. All these bands were brought to international attention in 2005 when SoulJazz Records released “The Sexual Life of the Savages”, a compilation of underground brazilian post punk bands. Living in Europe since 1992, Thomas organized his solo songs under The Gilbertos, a name he chose to explain the simplicity and the blend of brazilian and european sounds. The Gilbertos’ first album came out in 1999, through midsummer madness. Os Eurosambas 1992-1998 are a collection of compositions Thomas wrote during his first years far from Brazil and from his former band, Fellini. This record was received in Brazil as the missing link between post-punk and the new brazilian rhythms. Local bands such as Chico Science & Nação Zumbi, Planet Hemp and Mundo Livre always mentioned Thomas’ Fellini as their main influence. 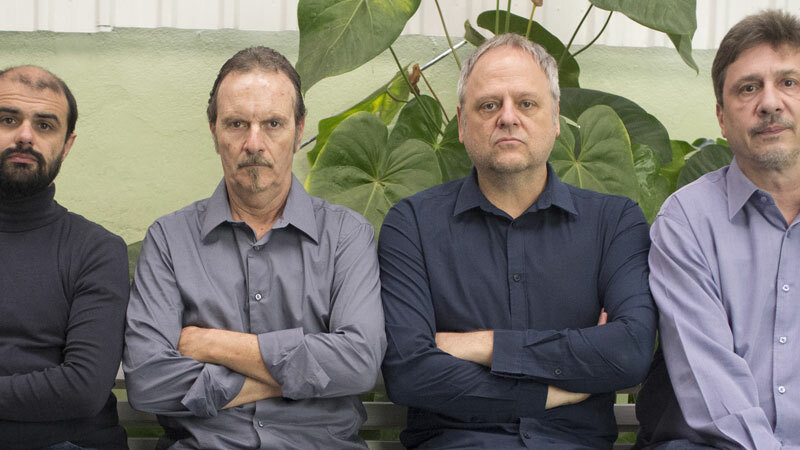 After a relative acknowledgement of Eurosambas, Thomas and Cadão reunited Fellini for one last record: in 2001, their 5th album, after a decade, Amanhã É Tarde (translates to Tomorrow is Late). They played some festivals in Brazil, including an opening act for White Stripes and Super Furry Animals at Tim Festival 2003. But, after that, as Thomas always emphasizes, nothing happened and Fellini disbanded again. Ironically, their first record, released in 1984, was titled “O Adeus de Fellini” (Fellini’s Goodbye). A common step in their careers. Three years later, in 2004, The Gilbertos’ Deite-se Ao Meu Lado was released, again through midsummer madness. The album features 10 songs, including a special appearance of Sean O’Haggan (from Stereolab) in the track “Dia D”, as well as Akira S, former Akira S e As Garotas Que Erraram helping on production. 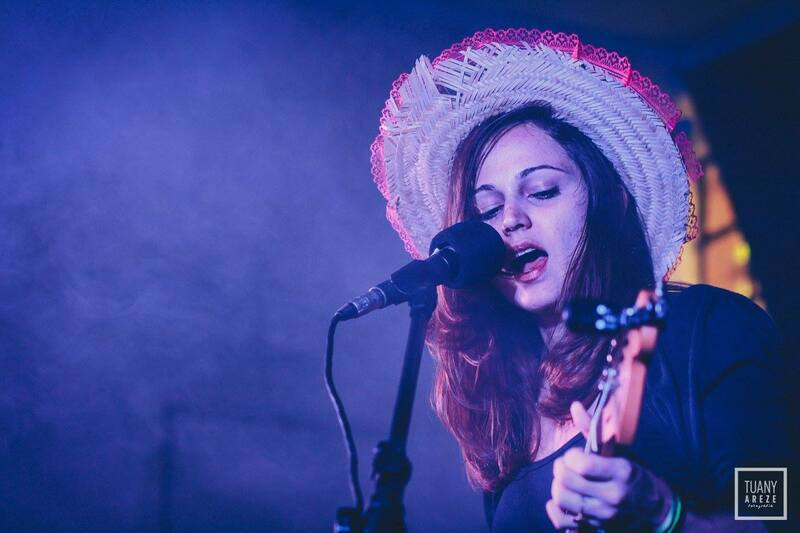 Deite-se… sounds more brazilian, with bossa nova and samba defining the path to the songs. The turning point to rocker songs came with the third album, À Noite Sonhamos (Tonite We Dream). 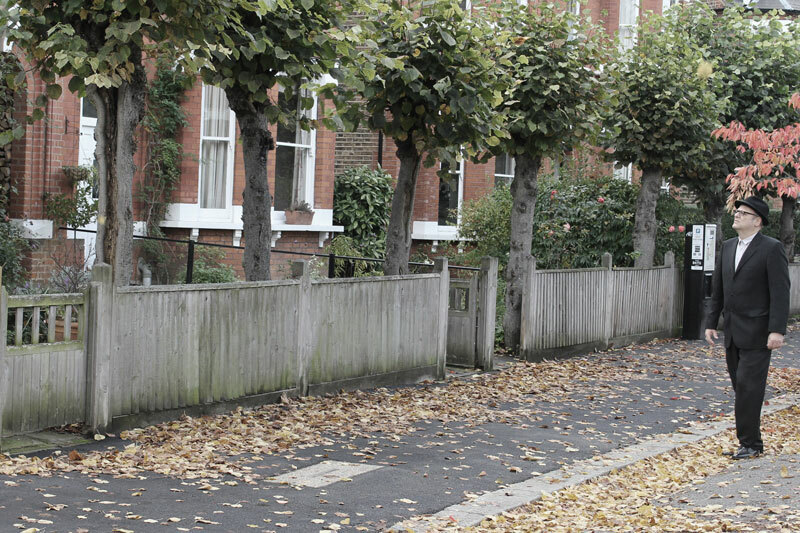 Thomas described it as “inspired in 70′s rock and adolescence”. This album brought Thomas to Brazil for unusual 4 shows; he always recorded at home, in his bedroom or garage in London and then contacted brazilian friends to help. Putting a band together was never easy, and rare gigs were always a holiday fun. Whenever Thomas comes to Brazil to visit family or to work, there’s a chance of an album coming out. And that’s exactly what happened in the southern summer of 2014: Thomas was sent to hometown São Paulo for some working months and saw the chance of putting out another collection of songs that have been being recorded for the last three years: Um Novo Ritmo Vai Nascer. And this new rhythm fuses electrofolk with european post punk and “a good mix of rock and MPB from late 1970′s that was lost“, as Thomas explains. 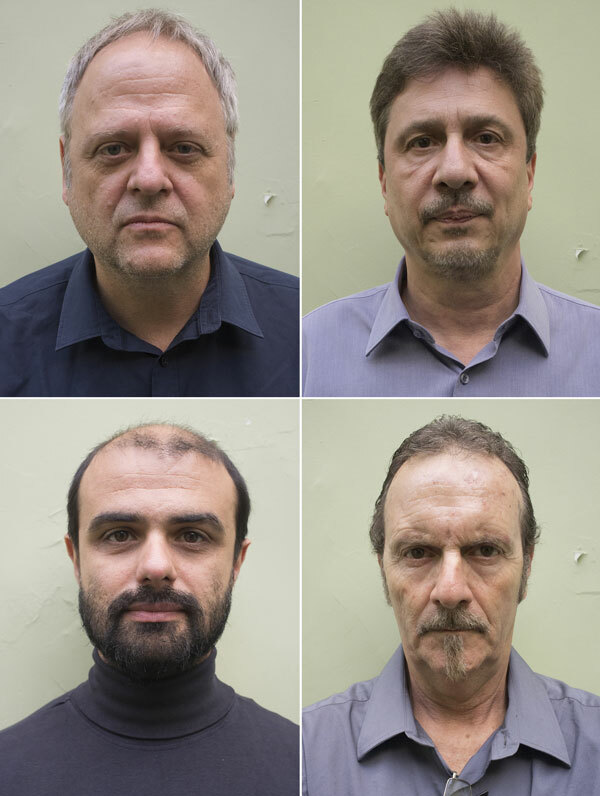 The Gilbertos’ fourth album features again 10 songs, and this time, with other 6 helping hands: live, the band has a steady formation that includes Lauro Lelis (ex Tom Zé drummer), Ricardo Salvagni (former Fellini bass player) and Astronauta Pinguim on the keyboards (picture above). As a sign of the times, this new album is released only in digital and cassete tape. The digital album is out here, at midsummer madness, for free in 192 kbps mp3, and in higher resolutions here (wave, aiff and mp3 320 kbps). 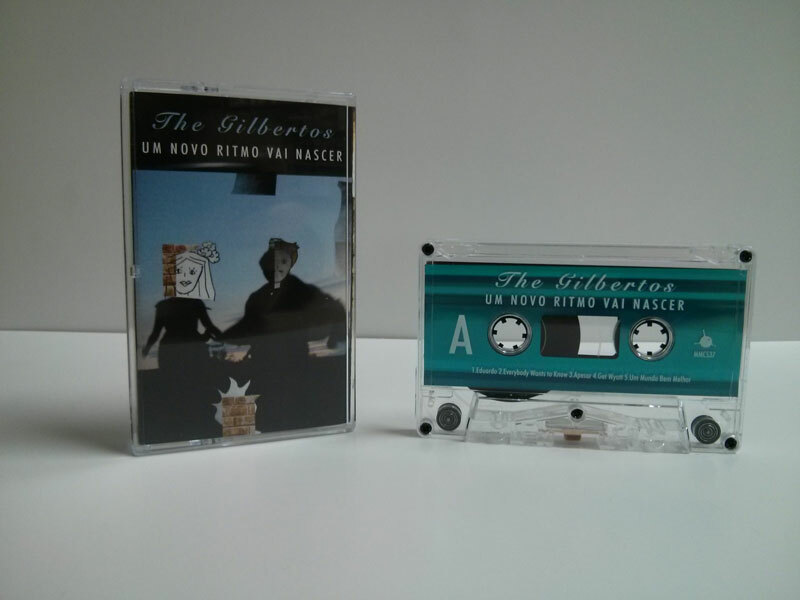 The cassete version is a 108 copies limited edition and will be available in late january 2015. Churrus começará 2015 com show na sua cidade natal, São João Del Rei. É com muito orgulho que anunciamos que o quarto álbum do The Gilbertos está sendo lançado oficialmente hoje aqui no site do midsummer madness. A versão digital de “Um Novo Ritmo Vai Nascer” tem 10 músicas, incluindo o single “Everybody Wants to Know”. Acesse a página da banda para ouvir e baixar o disco na íntegra (mp3 de 192 kbps). Se quiser comprar a versão digital com uma qualidade maior, acesse o bandcamp do midsummer madness e pague o quanto quiser para ter as 10 músicas e mais uma faixa bônus em alta resolução (wave, aiff, mp3 de 320 kbps). Para marcar o lançamento, The Gilbertos fará um show de lançamento nesta sexta feira, dia 19 de dezembro, na Sensorial Discos. No setlist, músicas do novo disco, além de clássicos dos 3 primeiros álbuns da banda. No palco, Thomas será acompanhado por Lauro Lelis, Ricardo Salvagni e Astronauta Pinguim. A Sensorial Discos fica na Rua Augusta, 2389 – São Paulo. A casa abre às 20h, o show está previsto para às 21h e o ingresso custa R$15. Em janeiro de 2015, a versão limitada em fita cassete de Um Novo Ritmo Vai Nascer estará disponível para venda. A fita foi fabricada no Canadá, tem tiragem limitada a apenas 108 cópias, traz encarte com letras e um código para download da versão digital em alta resolução. My Magical Glowing Lens está numa mini tour pelo Sul do Brasil e hoje, quinta feira 11/12, tocará em Curitiba no projeto Noite de Banda (mais informações no link anterior). Gabi divide a noite com o pessoal da banda Marrakesh.